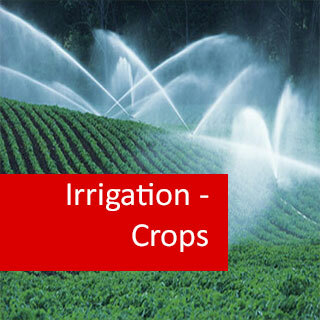 Irrigation - Crops course online. An online course that covers the design, installation, maintenance, operation and evaluation of simple irrigation systems. This online course focuses on irrigation systems for row crops (eg. vegetables & cut flowers) and orchards. If your interest is in growing row crops then this course will help you understand the methods need for irrigqating this type of crops. This 10 lesson course covers the design, installation, maintenance, operation and evaluation of simple irrigation systems. This course is similar to BHT210 and BAG213, however, it focuses on irrigation systems for row crops (eg. vegetables & cut flowers) and orchards. 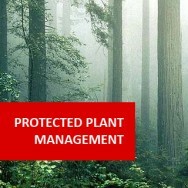 Drainage - drainage systems, dams, etc. 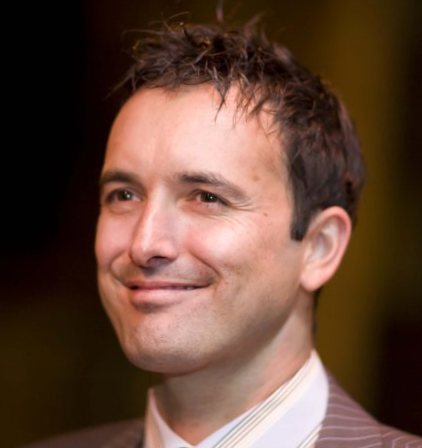 Identify and consult appropriate sources of information for the irrigation industry. Explain the significance of soil characteristics to irrigation. Determine when to irrigate in a small scale situation. Explain the drainage aspect of handling water. Explain the operation and selection of irrigation systems. Explain the operation and selection of trickle irrigation systems. Determine specifications for the design of an irrigation system. Explain the pumps and filters needed for handling water adequately for crops. Supervise the installation of an irrigation system. 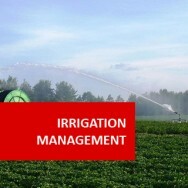 Design and operate an irrigation system for crops.